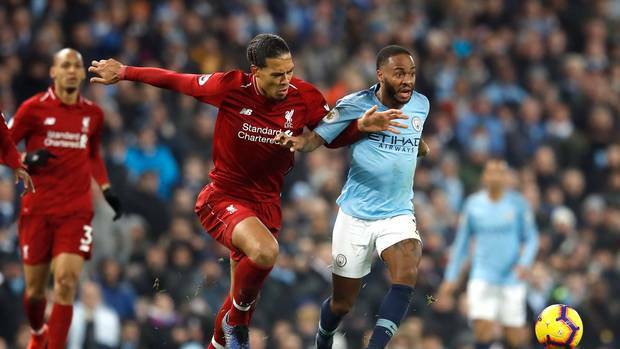 Virgil van Dijk has revealed he voted for the man in closest contention to himself for the Premier League Player of the Year award, Raheem Sterling. Our Dutchman is favourite for the prestigious gong after a jaw-dropping individual season in which he’s helped us to the best defensive record in the top flight by some distance. Sterling, our former winger, has been excellent for City, but he’s hardly put in the kind of campaign that warrants POTY. After all, he has 15 goals from the wing. Mo Salah has 18 and is apparently struggling. Van Dijk, humble as ever, explained his reasoning for the Sterling vote. “I voted for Raheem Sterling. I did what I thought and I thought he deserves it,” van Dijk told the Times. Sterling though has not returned the favour! According to the same report, the Englishman picked Harry Kane – which seems a little ridiculous – as the Spurs striker has missed months through injury and has no chance of winning. Liverpool fans on Twitter thought the gesture was actually quite sly, and were not shy in expressing their views. VVD voted Sterling player of the season… Sterling voted for Harry Kane😂 embarrassing levels of tactical voting from Sterling. Raheem Sterling voting for Harry Kane as player of the year shows how daft that whole award is really doesn’t it? Harry Kane getting the vote for player of the year from Sterling after arguably his worst season for Spurs. No bias though @sterling7, nothing to do with Van Dijk competing with you?